Innocent and feminine, with a delicate grace and sensibility, Voile de Jasmin is a new light and fresh scent to complement the white floral side of the pour Femme fragrance. Notes: Living Jasmine Sambac,Italian Bergamot, Orange Blossom, Rosewood, Ylang-Ylang, Living Mimosa, Living Rose. Beautiful scent for summer. Need to reapply often or consider wearing for shorter events. 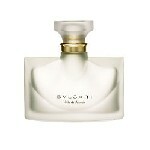 Bvlgari is my favorite fragrance. I get compliments all the time. I have never found it at at better price than I found it on here. I am telling everyone that I get a compliment from to go to this Website!